A week ago, I went on Twitter and saw a ton of commentary regarding a certain article where two Muslim women wrote about their decision to stop wearing the headscarf. I generally choose to not comment on such articles but just three weeks prior there was a blog post written by a young Muslimah where she claims that it is perfectly ok to practice Islam without engaging in many of the prescribed duties that Allah(SWT) tells us to and without refraining from what we've been told to refrain from. In essence, her article promotes the idea that one can be a good, practicing Muslim without actually practicing Islam. This blog post(I have chosen to not post the link because I refuse propagate this 'idea' any more that it already has) then spurned a few other blogs posts in support of this 'idea'. Articles and blog posts such as these just adds to the list of Muslims encouraging each other to sin under the banner of "there's more to Islam than (insert fard action here), it's what's in your heart that matters". 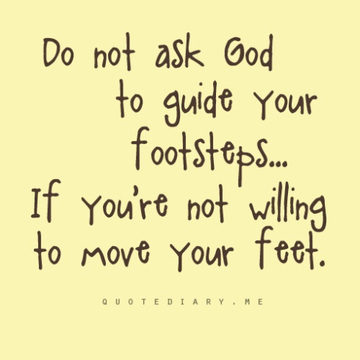 The problem with this idea though is that if Islam is truly in your heart, you will do everything within your power to please your Rabb(Lord) and the best way to do that is by doing what He has obligated us to do and refraining from what He had made prohibited for us. As of late, there's a group of Muslimahs encouraging others to pray while on their menses(an act that we all know is forbidden) and another group of Muslims that believe it is optional to recite in Arabic during salah(a practice that's been increasing over the last decade or so). I am extremely saddened by how easy it seems to be for some people to discard parts of the deen. There are many Muslims who tell other Muslims "you can grow to observe hijab, you can start praying all five prayers later, you can stop indulging in the dunya when you're old or after you're married, etc. In the meantime, as long as you love Allah, you're fine. Everything else is just extra". Unfortunately, my fellow Muslimeen, that is NOT the case. Fortunately, observing hijab is not an option. Avoiding tabaruj is not optional. Praying is not optional. Avoiding zina is not an option. Keeping isbaal is not an option either. We've been told what to do by our Lord and RasulAllah(SAW). The only thing left for us to do is to say ok and comply. We can't simply say because our intentions are to please our lord, we can get the same benefits without completing the actual deeds. We must strive harder as an ummah to hold unto deen-ul-Islam instead of hurriedly slipping away. Allah is merciful but we must also be sincere. Of course our deeds alone will not gain us entrance into Jannah but Islam is comprised of the belief in our hearts and the actions of our limbs and we therefore must combine them. First and foremost, let's remember that our intentions are important but we need to make our deeds match them. If you see someone drowning and just sit there but you had the internal intention to save them, is it the same thing? Secondly, remember that whenever you encourage someone to sin, each time they do the action, you're also incurring their sins. If that alone does not cause you to rethink before telling someone it's okay to take off their headscarf and jilbab, or that it's permissible to drink or that they shouldn't be so "fiqhy", ask yourself if you want to risk receiving their sins. Ask yourself if you're prepared to feel the wrath of your Lord. Yes, Allah is merciful. Yes he is just but to receive his mercy and his justice we have to actually be trying to live in the way that he's told us to live. 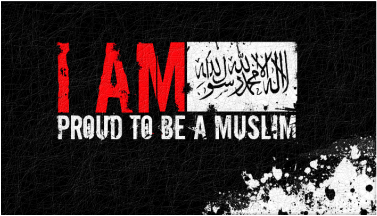 I am definitely not perfect and constantly striving to improve in my embodiment and practice of Islam. I hope I never get so low in my faith and strength that I start making frivolous excuses for my indiscretions. All in all, we can't cut corners in our faith and expect to receive good from it. May we all be guided appropriately and remain on the Straight Path. As many Muslims are aware, the Prophet Muhammad(SAW) is considered to be the 'perfect' man, that is to say that the is as perfect as man can be. It's for this reason that many Muslims look towards him for guidance. There are countless books that mentions his name, including the Holy Qur;an itself and there is no doubt that His Lord loves him tremendously without question. To me, personally he is a role model on how a proper Muslim must conduct himself or herself in every single way. Before I accepted Islam, my life was in complete shambles and disarrayed, there was no role model to give me the proper guidance that I was searching for. Throughout the course of my life, stupid and dumb decisions were made. When a person sincerely starts researching the life of RasulAllah(SAW) you would know why Allah loves him tremendously and therefore why he is held in a very high status with his Lord. The Prophet Muhammad (SAW) was an excellent example of how to properly worship Allah(SWT) in the most correct and proper manner that were prescribed to us by Him. While the world is now being lost in decadence of immorality and lack of spirituality, now more than ever mankind needs to return back to the Qur'an and the authentic Sunnah of our RasulAllah (SAW) and therefore follow his examples on how to worship Allah(SWT). Every single Prophet and Messengers of Allah (Peace and blessings of Allah be upon them all) was sent with one single purpose= to worship The one true God without any partners or associates. Allah (SWT) is High above those that associates partners with Him, He and He alone governs the affairs over His subjects in every single way. No one else helps Him and therefore when He rules over the Day of Judgment, He alone will dispense judgment over us. So therefore my fellow believers lets return back to the Qur'an and the Sunnah of His Prophet (Peace and blessings of Allah be upon him) and follow that beautiful example and show the world what the true beauty and essence of Islam is really all about. All throughout the Glorious Qur'an, Allah (SWT) speaks about pass civilizations that have been destroyed due to their wickedness in sin and evil deeds. Yet man is heedless of the signs and continues their downward path in wickedness. Forgetting about Allah (SWT) until death meets up with him. From that point it’s too late for the repentance. As Allah (SWT) states in the Quran "Every Soul shall have a taste of Death" 3:185. Why is Man so heedless of Allah's (SWT) signs? Man is caught up with this dunya and therefore will not reflect on the signs of Allah. He gave us intellect and wisdom, yet we as a people don't used them or ponder over His verses. That's the current state of our generation. As Allah (SWT) made a reference in the Quran that He has brought a nation out of mankind that would be the best in practicing good deeds and forbidding the evil. Now more than ever my fellow Muslims, as believers we need to step our game up and show the world what we are made of. This article was written by an SFC Guest Contributor. If you'd like to become a Guest Contributor, register your interests here. Many Muslims often struggle to perform religious duties because they are worried about the opinions and reactions of others. I have noticed that often times when I ask someone why they don’t fulfill a certain religious duty(staying away from bars/haraam events, eating halal only, utilizing proper manners, pausing casual interactions to go make salah), their response is usually that they do not want to draw attention to themselves. I have a really good friend and once we were discussing hijab( for women) and she stated that if she were to have a daughter she would not want her to cover to school because she might get made fun of. I also know parents who choose to not have their older children fast during Ramadan when there’s school so that they do not stand out among their classmates. Now as someone who has struggled with not wanting to stand out, I find this to be quite sad. Essentially, when we think that it is okay to not do what Allah(SWT) has told us to do simply because of the opinions of others, we are committing a form of minor shirk. We are saying that the opinions and decisions of the creation are more important than that of the Creator(Audhubillah). "BUT THE IMAM SAID IT WAS OK...."
Girl meets boy, girl likes boy, girl is Muslim, boy is not Muslim. They fall in love and want to get married….but it’s haram. Eventually, she finds a way to rationalize it in her head and finds an imam that will perform the nikkah. Girl and boy are now married and will live happily ever after. This scenario is one that is often heard, especially among Muslims in the West. The scenario if a Muslimah wanting to marry a non-Muslim. Based solely on the Qur’an and Sunnah, it is not permissible for a Muslim woman to marry a non-Muslim regardless if he is ahl-al-kitaab(People of the Book-Jews and Christians) or not. A Muslim man may marry a non-Muslim but only if she is from ahl-al-kitaab, is actually practicing and does not engage in shirk. That means that contrary to popular perception, a Muslim man cannot just marry any “Christian" woman, she has to be abiding by the rulings in her book and must not commit shirk which pretty much rules out Catholics and any others who believe in the trinity. If a Muslim man does find this woman and marries her, all kids born from the marriage must be raised Muslim and she must not bring about what is forbidden in Islam into her home. Many scholars also add that it is not recommended for Muslim men to marry non-Muslims in the west because that results in Muslimahs not having someone to marry. As we all know, Muslims are obligated to pray five times a day and there are very few exceptions to this obligation. To not perform all prayers during their prescribed time is a grave sin that you will have to answer for on the Day of Judgement. Along with our five mandatory prayers, the Prophet(SAW) was known to also pray extra prayers which we have come to know as "Sunnah salah" these prayers are in addition to the five that we already have to do and more blessings are earned for praying them. Whenever I'm engaging in a conversation with someone about the importance of prayer a common question is "why is the prayer so formatted? Why can't someone just sit down and pray to God?" I think this questions stems mainly from our understanding of what prayer is. In Islam, the prayers that we engage in five times a day are called "salah" which are referred to as ritualistic prayers. These prayers come with their prescribed sayings and movements and must be done in the proper manner. In Islam, we also have the concept of "dua" which is most often referred to as "supplications". This is when we simply sit down and ask/tell Allah what we want. Salah has been ordained upon us for numerous reasons. This first and foremost reason is that it is a sort of test, a way to gauge our obedience and submission to our creator. Allah(SWT) is asking us to wake up from our sleep, pause whatever work we're doing, turn off our favorite tv show to worship him. He's testing us by seeing if we will truly disengage from our worldly affairs and worship him. Salah also gives us a chance to connect with Him and His word. During our busy day, He is giving us an opportunity to stop at least five times to just remember Him, to talk to Him, to connect with Him. The Prophet(SAW) tells us that “When any one of you stands to pray, he is communicating with his Lord, so let him pay attention to how he speaks to Him.” as well as that “The closest a person is to His Lord is when he is in prostration” Observing our salah helps to build a closer and better relationship with our creator. By enjoining the act of salah upon us, Allah(SWT) is also giving us the opportunity to remember him and remember his guidance and mercy. Seventeen times a day(the amount of rakat total in the 5 prayers) we recite Surah Al-Fatiha. That means that 17 times every day, we remember through our recitations that Allah is merciful, that He is The Master of the Day of Judgement, that He is The most compassionate. Seventeen times a day we make dua to Him to help us stay on the straight path. Simply by stopping what we are doing five times a day for no more than 10-15 minutes, we are able to engage in such a rewarding practice. Salah is also important because it guards us from evil and helps us stay away from sins. When we make salah we are seeking Allah’s help and protection. We are asking him to protect us from the temptations of Shaytan and assist us in remaining steadfast. Observing salah protects us from committing sins because if one is sincere in their salah, they will most likely not finish their salah and then go engage in haraam activities. Alongside this, if one is engaging in haraam behaviour and still values their salah, stopping to pray removes them from sinful situations. ARE YOU REALLY BEING A "MUSLIM"? There are many of us who identify as Muslim simply because we were born into the faith. There are also many who identify as Muslim because they consciously decided to accept the idea that there is no deity but Allah and Muhammad(SAW) is His messenger. Being able to say you accept and agree with the Shahada is definitely the first step in becoming Muslim but BEING a Muslim involves a lot more than that. The term “practicing Muslim” is often thrown around to indicate someone who not only claims to be a Muslim but also actively practices the tenets of the faith. I honestly do not like this term because the label “Muslim” on its own should mean that you are actively engaging in the tenets of Islam. Being a Muslim is not just about abstaining from pork, attending Jummah salah or praying all the rakat of taraweeh during the nights of Ramadan. 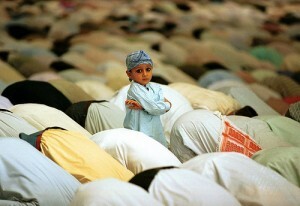 As Muslims, we should always strive to be the best we can be for our creator. The word “Islam” means submission but also stems from peace, so in essence, Islam means the attainment of peace through submission. If Islam means peace through submission then a Muslim is one who attains peace through their submission to the will of Allah. Allah(SWT) says to us “I have created the jinn and humankind only for My worship.” (Qur'an 51:56). We worship Him through our ultimate submission to his commands. We submit to Him, our creator, by doing what He and His Messenger(SAW) have told us to do and staying away from what they have told us to stay away from. The point that I am getting at is that before we can proudly say “I am Muslim”, we should ask ourselves, “Am I honestly trying my best to submit to the will of Allah?”, “Am I staying away from all that is forbidden and adhering to all that is obligatory?”. If you can honestly say yes to these questions, without any hesitation or buts, then yes, you are truly BEING Muslim. This is not say that being Muslim means you're perfect, that you don't struggle. Instead, what I mean is that if we are really trying to Muslim in every meaning of the world, we are always seeking to submit ourselves to the will of Allah. Yes, you might have hard time remembering to pray your salah, yes you might be struggling with refraining from the haram but are you sincerely trying? If so, then you are submitting yourself to the will of Allah, you are being Muslim. HIJAB DOES NOT EXIST....OR DOES IT? If you haven’t realized it yet, this post is about the observance of external hijab. Being that this site is geared towards sisters, I will not be addressing the external hijab of men but please note, that before Allah told women to cover and lower their gaze, he first addressed men. Honestly, this is not my favourite topic to discuss at all. I think people, Muslims as well as non-Muslims, have made the observance of hijab into such a big deal when at the end of the day, it’s just another instruction from Allah. Part of the reason why it’s been made into such a majour issue as well as why it’s so hard for people to observe it stems from the way that it is often taught. For those who are born into the deen, you’ll most likely remember being taught about the importance of salah, sawm, obeying your parents, not lying, etc but rarely about hijab. Many sisters decided to begin observing hijab after learning about it through friends or other sources while others remember their father handing them a scarf once they reached puberty without an explanation of what exactly hijab is. 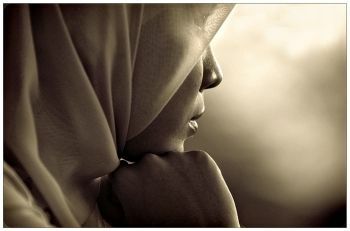 The observance of hijab has also been made hard due to the increasing emergence of “interpretations”. The one thing that I have learned from the Qur’an is that many things, especially those in regards to day-to-day life are expressly clear and leave absolutely no room for ambiguity. The ayat that commands hijab and the Ahadith that corroborate these ayat are also very clear. 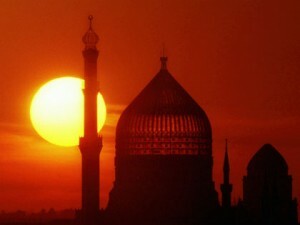 Alongside this, it is important to note, that prior to 50-60 years ago, before Muslims decided that the deen needed to be revamped to please the West, there was very little mention of things that were already clear in the Qur’an, hijab included, being able to be interpreted or manifested in different ways. Are we now saying, that those Muslims from the time of the prophet(SAW) till the 1950s, were not practicing Islam correctly? That they were observing hijab incorrectly? Of course not, these earlier generations of Muslims did not feel the need to put their deen aside for the sake of man. While not all followed Islam correctly, they did not attempt to revamp religious obligations.